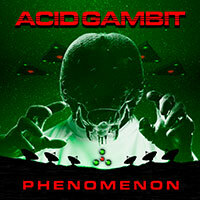 The heavy-hitting second release from Atlanta synth project Acid Gambit. Exploring themes of extra-terrestrial visitation and government conspiracy, Phenomenon will make you want to believe. Sci-fi synths and heavy beats bring you back to a time where tinfoil hats were funny and nobody was spying on us (as far as we knew). The first release from Acid Gambit, the Atlanta-based synth project exploring sci-fi and horror themes with an Electro/EBM flavor. 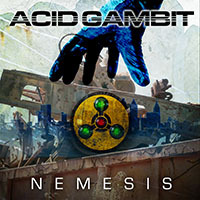 Combining heavy beats with an 80s synthesizer palette, Acid Gambit paints with a broad brush spanning from modern Synthwave to 50s horror nostalgia. 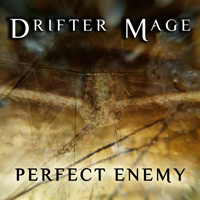 The first release for Drifter Mage, a virtual electronic ensemble forging its music simultaneously from Japan and the US. 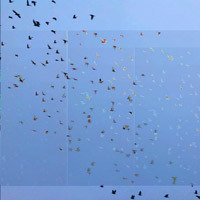 The resulting tracks combine enchanting melodies with electronic glitches and industrial noise, laid on a foundation of swirling atmospheres and steady beats. The sound is characterized by custom software instruments, unnatural dialog samples, and iterative musical layers (a result of the intercontinental workflow). Treefungus are E Desonor and Alexa Jones-Gonzales. They have been producing music together since 2010. Their first release, "Transmission 495", mixes elements of ambient, lo-fi, and experimental electronic music reminiscient of Aphex Twin and Boards of Canada. 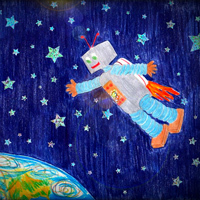 Bemidji Blues is the first single from SHED. Remixes are based on tracks from their full-length album "Distance Grows in the Bones."